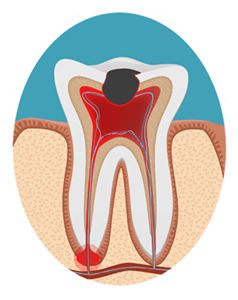 Our Dubuque dentists will remove the inflamed or infected pulp, carefully clean and shape the inside of the root canal, and then fill and seal the space. Afterwards, you will return to your dentist, who will place a crown or other restoration on the tooth to protect and restore it to full function. 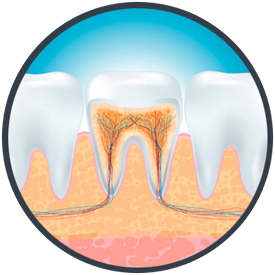 After restoration, the tooth continues to function like any other tooth. 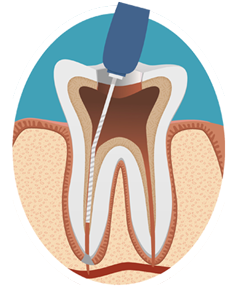 Most root canal appointments take around an hour to complete, but every case is different. More difficult cases may take longer, and may require more than one appointment. 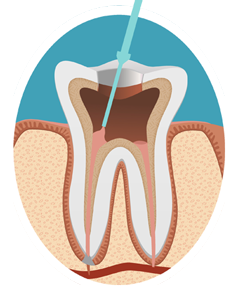 Once one of our Dubuque dentists determine you need root canal treatment, they'll access your tooth's root canal system. 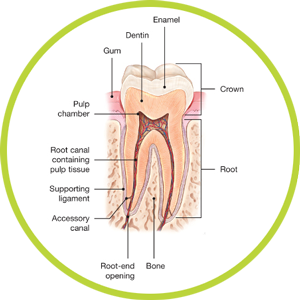 After accessing the root canal system, the dentist will clean and shape all canals in the tooth. (If significant infection is found, they'll medicate the infection, temporize the tooth, and will have you reappoint for another day to finish the root canal). With the canal system cleaned and shaped, the dentist will now fill the canals with the proper materials. 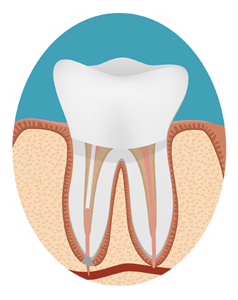 After the canals are filled and sealed, the tooth will be restored with a crown or other restoration to return it to full function.